SAN FRANCISCO — Phil Shea, co-founder and CEO of Chicago-based real estate startup CollegeAnnex, is looking for $1 million — and he came to San Francisco to find it. 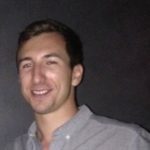 Shea, 24, and CollegeAnnex were in the Bay Area as members of Elmspring, a year-old Chicago-based real estate tech accelerator spearheaded by Madison, Wisconsin-based Century 21 Affiliated. Century 21 Affiliated claims to be Century 21 Real Estate’s largest affiliate in the world, with approximately 1,500 agents who occupy 70 offices in four Midwest states. 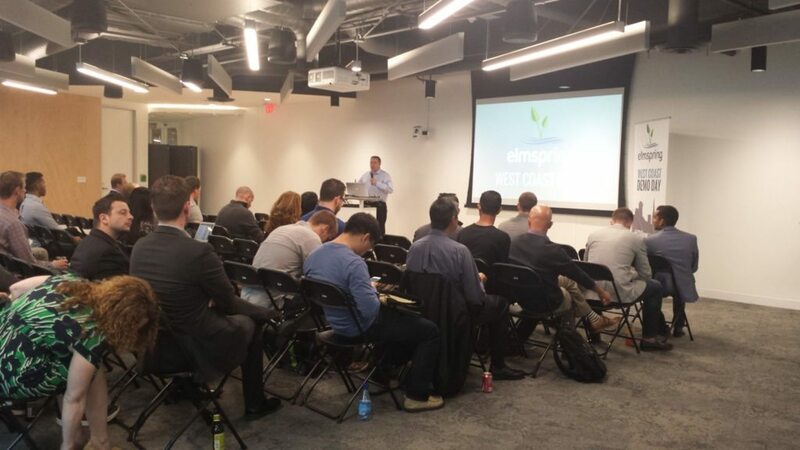 On Tuesday, June 9, Elmspring put on its first demo day outside the Midwest. CollegeAnnex and five other firms presented at the event in downtown San Francisco. The accelerator is the brainchild of Elmdale Partners, owner of Century 21 Affiliated. A tech accelerator is a privately funded effort to give a financial boost as well as expertise to startup companies. In exchange, the backers usually get an equity stake in the company and garner tech expertise for their core business. Elmspring sprouted naturally from Elmdale Partners’ involvement in Century 21 Affiliated, according to Elmdale Partners co-founders Adam Freeman and Thomas Bretz. When Elmdale Partners bought Century 21 Affiliated in 2010, the brokerage had just 18 offices and approximately 350 agents. That was in the thick of the housing crisis, but Bretz and Freeman saw an opportunity to grow a large Century 21 brokerage in Chicago because of the brand’s light presence in the region. It also saw an opportunity to “roll up” smaller franchisees in the region that were looking for a way out. 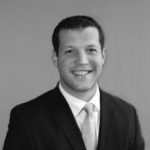 With a centralized tech and marketing operation and an organized, driven ownership team, the firm grew fast — and then started attracting tech vendors who wanted to partner with the firm. The brokerage didn’t have an organized way to properly evaluate new tech, Bretz said, so the firm decided to launch its own real estate incubator. Bretz and Freeman realized they could use a formal system to properly vet all the vendors coming to them with ideas. Thus, the idea for Elmspring took shape. Run by a brokerage, Elmspring deeply aligns real estate’s old guard with the entrepreneurs pushing real estate into its tech-filled future, Bretz said. The accelerator, which operates in three-month stints, has had two classes pass through so far. It has a total of nine firms in its portfolio. Six real estate tech startups presented at Elmspring’s demo day, held at Zillow Group’s San Francisco offices on Tuesday evening. Elmspring expects to receive around 50 applications for its third class, according to Elmspring Executive Director Colleen O’Toole. Elmspring anticipates choosing up to five participants, she said. In exchange for three months of office space, access to Elmspring’s partners’ vast network and $20,000 in cash, Elmspring takes a 6 percent equity stake in each firm accepted into the accelerator. Firms also get marketing and administrative support. Glenn Shimkus, DocuSign vice president of product. Jim Marzullo, vice president of operations at food startup GrubHub. Constance Freedman, managing director of the National Association of Realtors’ strategic investment wing, Second Century Ventures. 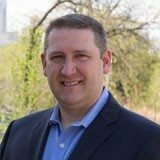 Jeff Harris, Matterport’s vice president of sales and business development. Unlike real estate’s other tech accelerator, REach — which is run by Second Century Ventures and allows participants to work anywhere — Elmspring participants are expected to take up residence at the accelerator’s headquarters in the lively digital entrepreneur co-working space Chicago 1871 for the course of the three-month program. Elmspring targets firms at earlier positions than REach; some haven’t even launched yet when they enter. All firms that presented on Tuesday are stalking seed money. Elmspring membership also lends legitimacy to fledgling firms with seemingly wild or unproven ideas. One example is the cannabis-focused startup HerbFront, one of the firms that delivered its pitch on Tuesday night. HerbFront carefully creates maps of cities that highlight specific commercial properties where the complex zoning rules for cannabis cultivation would allow commercial grow operations. The stoner stigma doesn’t cling to HerbFront as it might without a legitimate backer like Elmspring, HerbFront’s CEO Matt Chapdelaine told Inman after the pitch event, as participants, investors and other attendees chatted near a table full of snacks and beer-filled fridges. Elmspring invited 125 angel investors and received 72 RSVPs, but just a handful showed up. CollegeAnnex hopes to streamline the chaotic rental environment around colleges and universities by providing digital tools for landlords and online access to inventory for students. The company caught the attention of one investor in the audience. Kim Nguyen, an investor with Berkeley Angels — a group of approximately 300 University of California, Berkeley alumni who invest in startups — exchanged business cards with the guys of CollegeAnnex after the evening’s pitch session. The startup’s business model intrigued her, and she wanted them to come pitch her group on Friday, she said. CollegeAnnex’s CEO, Phil Shea, said the firm will participate. Shea said he was staying for a week or two after the event in the hopes of pitching the investors seeming to overspill out of Silicon Valley, but he had no meetings with investors lined up right now. I suggested he drive down to Sand Hill Road in Palo Alto, famous for the cluster of prominent venture capital firms with headquarters along the road, and start knocking on doors. “That’s not a bad idea,” Shea said. HerbFront: With fine-tuned predictive modeling, the firm helps cannabis investors pinpoint commercial properties zoned for cannabis grow operations. HerbFront is seeking $1 million for a seed round. CampNative: A listing site to help campers find and reserve space in private campgrounds across the U.S. CampNative is seeking $750,000 in a seed round. CondoGrade: Using private, public and user-submitted data, CondoGrade estimates the impact that condo associations’ financial health has on the price of condos. The firm is looking to branch out to homeowners associations, too. It’s seeking $1.5 million. Peer Realty: Peer Realty claims to be the first real estate crowdfunding platform to offer a secondary market for crowdfunded real estate investments. It’s seeking $2.5 million. ReaLync: ReaLync is a video platform that allows agents to give faraway buyers property tours in real time. It’s seeking $1 million in a seed round. CollegeAnnex: CollegeAnnex hopes to streamline the chaotic rental environment around colleges and universities by providing digital tools to landlords and students online access to inventory. It’s seeking an investor to lead a $1 million seed round. Zillow Group hosted Tuesday’s event, but it is not an investor in Elmspring or any of the presenters. Elmspring is accepting applications for its third class through Tuesday, June 16. The next session starts July 1. 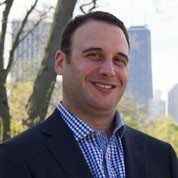 Elmdale Partners has two Elmspring operating partners: Chicago-based multifamily and hotel operator Waterton Associates and Chicago-based real estate investment management firm Harrison Street. Editor’s note: Zillow Group did not invite investors to the Elmspring San Francisco demo event as a previous version of this story stated.